This magical box contains hours of endless fun using just a double sided vinyl floor mat measuring 4ft x 5ft, 4 bean bags and instructions for over 10 fun games! 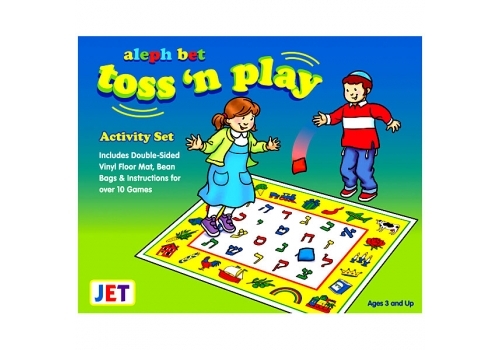 Games encourage children to learn Aleph Bet letter, colors and introduction to spelling through great active play! 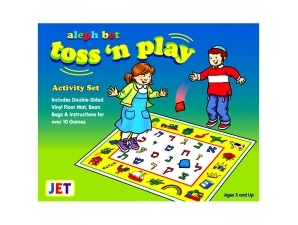 Great for hand-eye coordination and gross motor skills.